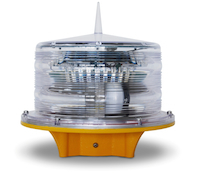 Solar Obstruction Light for Offshore Oil & Gas Platform Marking, Solar powered L-810 LED Obstruction Light, FAA approved L-810 Light, certified and tested, Zone 4. Solar Parking Lot Light Self Contained LED light integrated high efficiency solar panels, controller, human infrared motion sensor module, high-capacity lithium-ion battery and LED Lighting technology into a small compact housing unit. Solar Powered Perimeter Security Lighting, Intelligent Human presence sensor system, which can sense human activity and increases its brightness intensity level. Lumen (LM): 4800-5200lm. Brite Mode. Self Contained Solar Parking Lot Light, LED light integrated high efficiency solar panels, controller, human infrared motion sensor module, high-capacity lithium-ion battery and LED Lighting technology into a small compact housing unit. Solar Street and Area Lighting, 70 Watts LED Lamp, Running Time 8-10 hours, World Zone 4 (4-5 Hours of Daily Solar Radiation). Solar Parking Lot Lighting Self Contained. School Solar Parking Lot Light Self Contained LED light integrated high efficiency solar panels, controller, human infrared motion sensor module, high-capacity lithium-ion battery and LED Lighting technology into a small compact housing unit. School Solar Parking Lot Lighting Intelligent Human presence sensor system, which can sense human activity and increases its brightness intensity level. Solar Powered School Parking Lot Area Lighting 70 Watts LED, Running Time Dusk to Down, World Zone 4 (4-5 Hours of Daily Solar Radiation). Solar LED Lighting 40 Watts, Running Time 8-10 hours, World Zone 2 (2-3 Hours of Daily Solar Radiation). Solar LED Lighting 40 Watts, Running Time Dusk to Down, World Zone 4 (4-5 Hours of Daily Solar Radiation). Solar LED Lighting 40 Watts, Running Time Dusk to Down, World Zone 2, (2-3 Hours of Daily Solar Radiation). Solar LED Street Light Bullet Proof - Parking Lot - Security, 40 Watts LED, Running Time Dusk to Down, World Zone 4 (4-5 Hours of Daily Solar Radiation). BP Bullet Proof. Bullet Proof Solar LED Street Lighting - Parking Lot - Security, 40 Watts LED, Running Time Dusk to Down, World Zone 2 (2-3 Hours of Daily Solar Radiation). BP Bullet Proof. Military Bullet Proof Solar LED Street Lighting- Security, 40 Watts LED, Running Time Dusk to Down, World Zone 4 (4-5 Hours of Daily Solar Radiation). MIL Military Grade - BP Bullet Proof. MIL Military Grade Solar LED Street Lighting - Parking Lot - Security, 40 Watts LED, Running Time Dusk to Down, World Zone 2 (2-3 Hours of Daily Solar Radiation). MIL Military Grade - BP Bullet Proof. Solar Street and Area Lighting, 70 LED, Running Time 8-10 hours, World Zone 4 (4-5 Hours of Daily Solar Radiation). Solar Street and Area Lighting, 70 Watts LED, Running Time 8-10 hours, World Zone 2 (2-3 Hours of Daily Solar Radiation). Solar Street and Area Lighting, 70 Watts LED, Running Time Dusk to Down, World Zone 4 (4-5 Hours of Daily Solar Radiation). Solar Street and Area Lighting 70Watts, Running Time Dusk to Down, World Zone 2, (2-3 Hours of Daily Solar Radiation). Bullet Proof Solar Street and Area Lighting 70 Watts LED, Running Time Dusk to Down, World Zone 4 (4-5 Hours of Daily Solar Radiation). Solar Street Light Bullet Proof 70 Watts Running Time Dusk to Down, World Zone 2 (2-3 Hours of Daily Solar Radiation). Military Bullet Proof Solar Powered Street Light, 70 Watts LED, Running Time Dusk to Down, World Zone 4 (4-5 Hours of Daily Solar Radiation). Solar Powered LED Street Light Military Bullet Proof, 70 Watts LED Running Time Dusk to Down, World Zone 2 (2-3 Hours of Daily Solar Radiation). 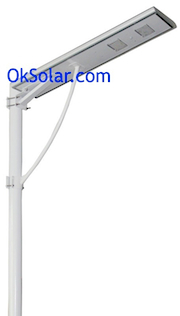 Solar LED Street Light, 140 Watts LED Lamp, Running Time 8-10 hours, World Zone 2 (2-3 Hours of Daily Solar Radiation). 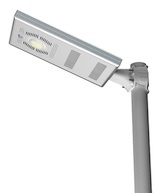 Solar Powered Street Light 140 Watts LED, Running Time Dusk to Down, World Zone 4 (4-5 Hours of Daily Solar Radiation). LED Solar Powered Street Light 140Watts LED, Running Time Dusk to Down, World Zone 2, (2-3 Hours of Daily Solar Radiation). Bullet Proof Solar Street Lighting 135 Watts LED, Running Time Dusk to Down, World Zone 4 (4-5 Hours of Daily Solar Radiation). BP Bullet Proof LED Solar Powered Street Light 140 Watts LED Running Time Dusk to Down, World Zone 2, (2-3 Hours of Daily Solar Radiation). Military Bullet Proof Solar Powered Street LED 140 Watts Light, Running Time Dusk to Down, World Zone 2 (2-3 Hours of Daily Solar Radiation). MIL Military Grade - BP Bullet Proof. Bullet Proof Solar Street and Area Lighting 140 Watts LED, Running Time Dusk to Down, World Zone 4 (4-5 Hours of Daily Solar Radiation). LED Solar Powered Street Light 170 Watts LED, Running Time Dusk to Down, World Zone 4, (4-5 Hours of Daily Solar Radiation).